Moonless Night (Black). Otterbox Profile iPad Mini 1 / 2 / 3 Stand Folio Case. Maximize the life of your tablet with Profile Series for iPad mini 3, 2, 1 — the only durable, streamlined folio case that boasts OtterBox Certified Drop Protection. 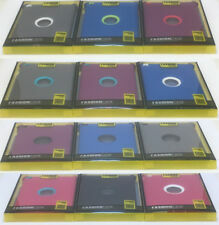 This is the hard cover for Otterbox Deffender series for iPad2/3/4 (older generation iPad). It can be use by itself as a stand for your iPad or as an addition to your Defender Otterbox case. This shield will not fit iPad mini, Air, or Pro. 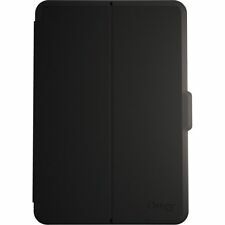 Case For iPad Mini 1 2 3 - Moonless Night Black. 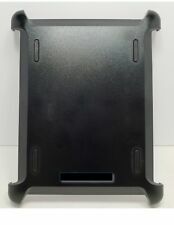 Otterbox Profile Stand Folio. Maximize the life of your tablet with Profile Series for iPad mini 3, 2, 1 — the only durable, streamlined folio case that boasts OtterBox Certified Drop Protection. 15 quality / some case may include some sharpie writing on the back, like shown in pictures. It's hard to believe that the OtterBox DEFENDER SERIES Case provides all this incredible protection while still being purse and pocket-friendly. OtterBox DEFENDER SERIES Case & Stand for iPad 2 / 3 / 4 (ONLY) - Black (Certified Refurbished). (for ipad 5th & 6th GEN only). Condition: its just external layer to replace your older case. Layer Only. 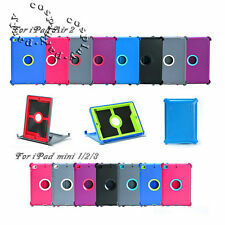 Full protection case for Ipad 2 / 3 & 4th Gen. Rugged Hybrid Skin Generic Case Cover. High quality materials reinforce the front edges, sides and back of your device and also prolong the life of the case. Black folio cover with clear hardshell backing and gray interior lining. Our main warehouse is located right outside of Baltimore, Maryland. - Drop protection designed and tested for trusted defense. Condition of the item is Brand New but PACKAGING MAY SHOW SOME WEAR BUT DOSS NOT AFFECT THE ITEM AT ALL OtterBox DEFENDER SERIES Case for iPad Mini 1/2/3 (Compatible with iPad Mini 1/2/3 (Black) Item Description: Triple-layer defense: inner shell, outer cover and touchscreen protector Screen protection: built in to keep your brilliant display flawless Port covers: stop dirt, dust and lint from getting into jacks and ports Shield stand: includes stand for hand-free convenience Thank you for checking out my list and I hope to hear from you very soon. If you have any questions please do not hesitate to message me. Defender Rugged Hard Shell Stand Case w/Screen Protector for iPad Mini 1/2/3. Portable Portrait or landscape mode Stand. Condition is New. Worry less while you're on the job. Compatible with iPad Pro (10.5" Version)Triple-layer defense: inner shell, outer cover and touchscreen protector. Screen protection: built in to keep your brilliant display flawless. Plus, the included shield stand sets up quick for hands-free viewing and comfortable typing. • Access for Apple Pencil (2nd Gen) charging and pairing. • Multi-layer protection from the inner shell, outer slipcover, built-in screen protector and shield stand. OtterBox DEFENDER SERIES Case for. Apple iPad Mini 1/2/3 BLACK. Built with three robust layers, this rugged iPad mini 3 case is designed to absorb. have access to every feature and function, including Touch ID. 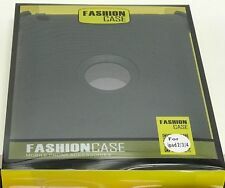 Black folio cover with clear hardshell backing and gray interior lining. Apple iPhone XS Max. Apple iPhone XS. Apple iPhone X. Apple iPhone 8. Apple iPhone 8 . Apple iPhone 7. Apple iPhone 7 . Otterbox Profile iPad Mini 1 / 2 / 3 Stand Folio Case. Maximize the life of your tablet with Profile Series for iPad mini 3, 2, 1 — the only durable, streamlined folio case that boasts OtterBox Certified Drop Protection. Trending at $21.95eBay determines this price through a machine learned model of the product's sale prices within the last 90 days. Otterbox Defender case Ipad mini 1/2/3/4. Condition is New. Shipped with USPS Priority Mail. Otterbox Defender Rugged Hardshell Case Cover. Plus, the included shield stand is great for reading, typing and watching when you need it. Defender Series iPad Mini cases work hard for you, so you don’t have to. OtterBox Defender Series Case and Stand for iPad 4th Generation, iPad 2 and 3. Shipped with USPS Priority Mail. OtterBox Symmetry Series 360 Folio Case for Apple iPad Pro 11 (3rd Gen) - Black. Condition is Used. Minor scratches from everyday use. No rips or tears. Never been dropped. Shipped with USPS Priority Mail. Sold 20000+!!! Good Quality!! Free Shipping !! Compatible with iPad Mini 1/2/3. - Triple-layer defense: inner shell, outer cover and touchscreen protector.